I would like to use this device in a classroom. It already has Monoprice in-ceiling speakers installed. They are Caliber Ceiling Speakers 6.5-Inch Fiber 2-Way (pair) 475 Reviews | 17 Questions, 29 Answers Product # 4103. Will it power these speakers or does it need an external amplifier. If it does need an external amplifier, which one works best for these ceiling speakers? 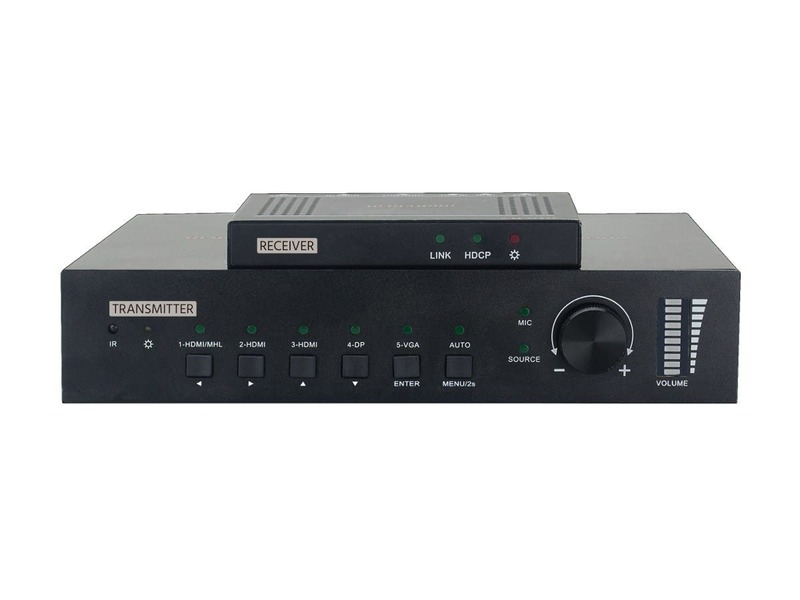 BEST ANSWER: The Blackbird 4k Switcher/Scaler will not power your speakers. you will need a separate amplifier for that. Something like the Monoprice Unity 100-Watt Bridgeable Power Amp. It is available in 100watt & 200watt formats. Plan on needing 100 watts per pair of speakers. 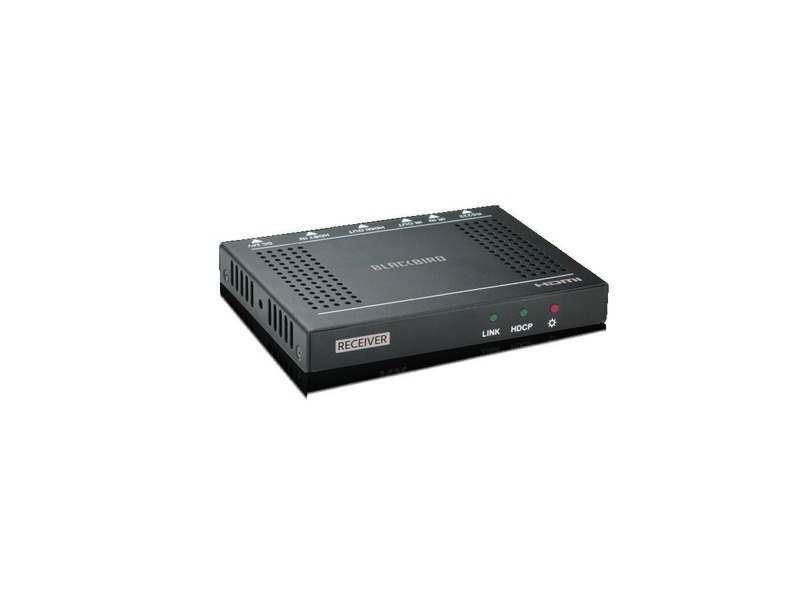 Iwould suggest a small audio mixer between the Blackbird 4k Switcher/Scaler and the amplifier to control the level of the source audio. 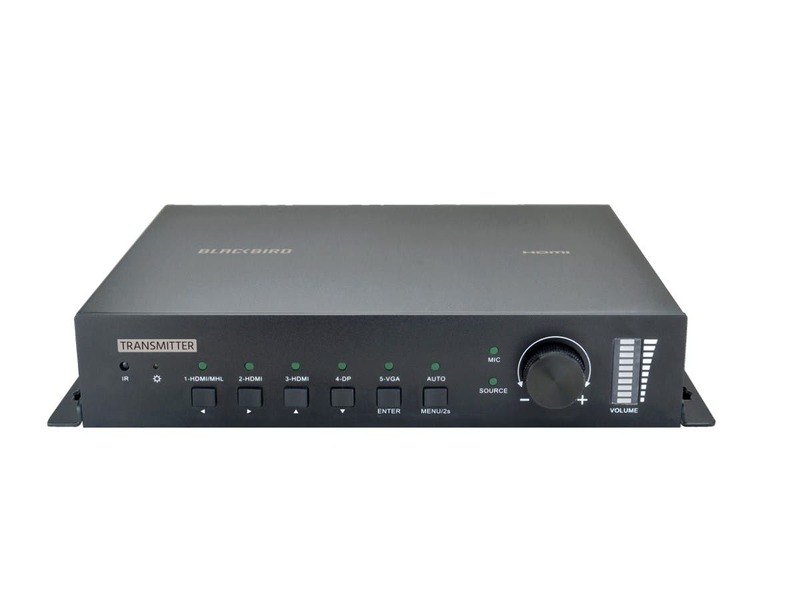 If you only have 2 speakers then the Monoprice Commercial Audio 120W 2ch Mixer Amp would be a inexpensive alternative. It is 60 watts per channel amplifier with left & right volume controls. Right on with the amp selection! However, I don't think a mixer is necessary, as the switcher/scaler has volume control built in. Thank you. Are any of these options plenum so I can install these above the drop ceiling? If not, does Monoprice have a plenum-rated amp for use in our classrooms? We don't have room for cabinets full of AV gear so being able to mount devices like amps above the ceiling is helpful. 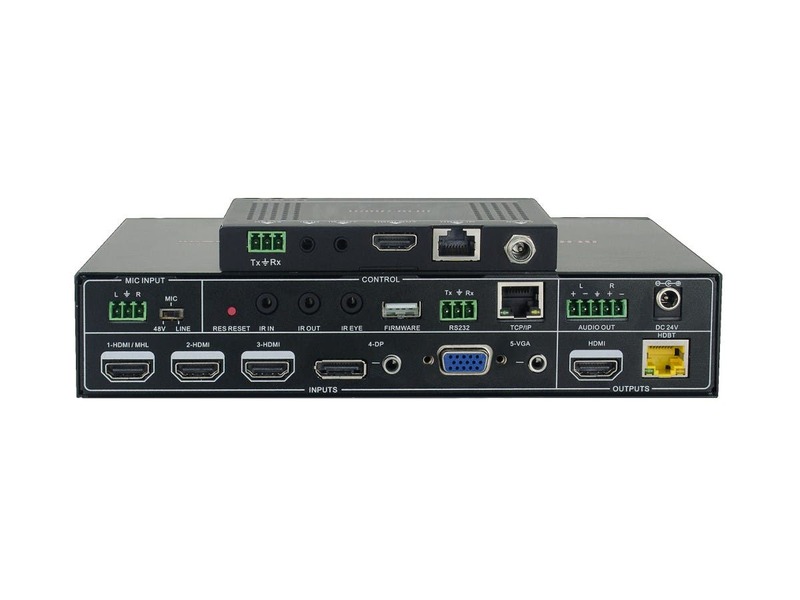 If not, is there a small cabinet that monoprice has that can hold an amp and the 4K switcher/scaler? This unit only has line audio output, not an amplified speaker output. You will need an external amplifier to power those speakers. PID#18513 or 18801 should do nicely. Will this receiver (#21609) work with item #21875 (switcher) and #21816 (wall plate transmitter)? What is switching like on this product? As in, is it a fade, fade through black, quick cut with no black, cut through black, etc? We're basically wondering if it can serve as a presentation switcher with no noticeable transition between inputs, or if it is more designed for board room/classroom use, where a minor delay/visual blip while switching inputs is acceptable. BEST ANSWER: It's a quick cut changeover between HDMI inputs, no fades or anything. It takes about a second between hitting the button to switch inputs and the switch to actually happen. Only time I got a visual "blip" was when I was switching to a MacBook Air or iPad that was connected to the DisplayPort or HDMI input. I did not get a "blip" when either Apple product was plugged into the VGA. What makes this item a "4K" device when the resolution limitations are listed as 1920 x 1200? 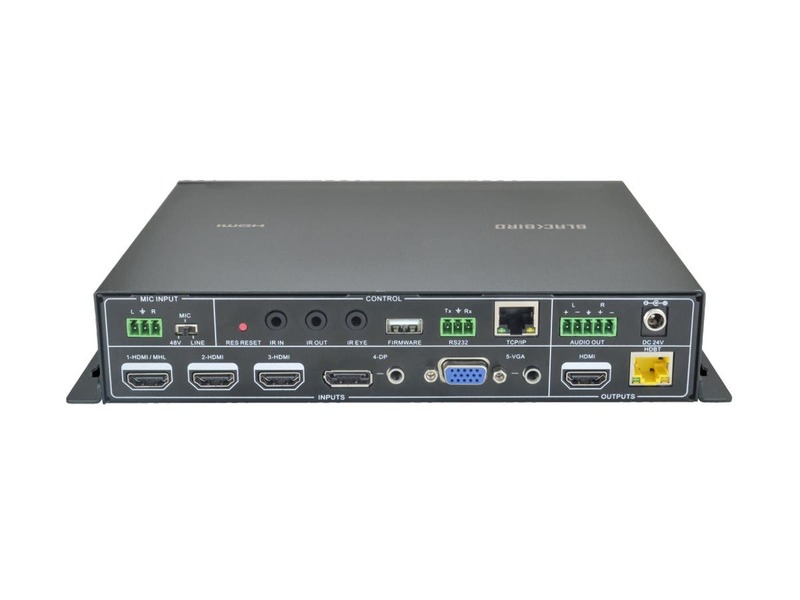 If a DisplayPort or VGA input is used in conjunction with the associated audio (3.5mm) input, will it combine/embed the audio and video and output both audio and video through the HDMI output? 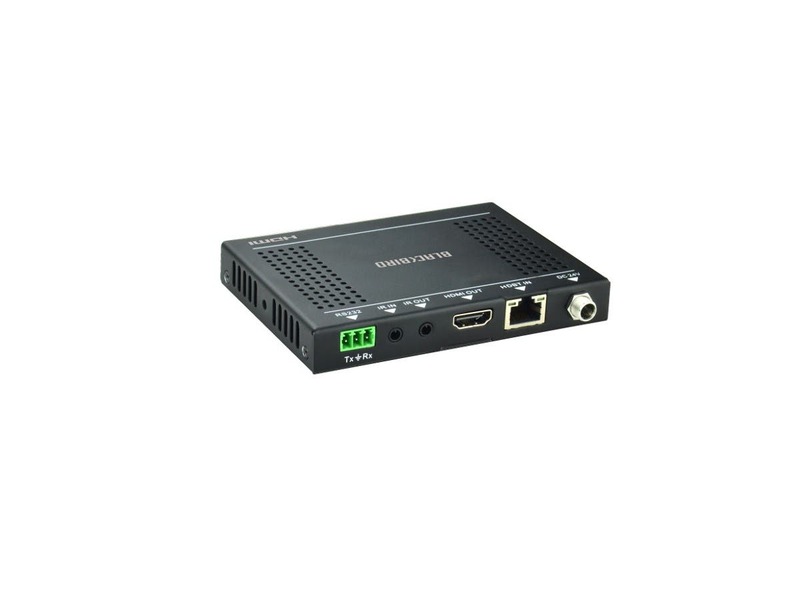 Does this device scale 1080i59.94 specifically for use with a Blackmagic ATEM switcher? Can you purchase a secondary receiver this unit? Will this switch be able to turn on/off my projector using the RS232 over HDBT? are the receivers also included upon purchasing this item?